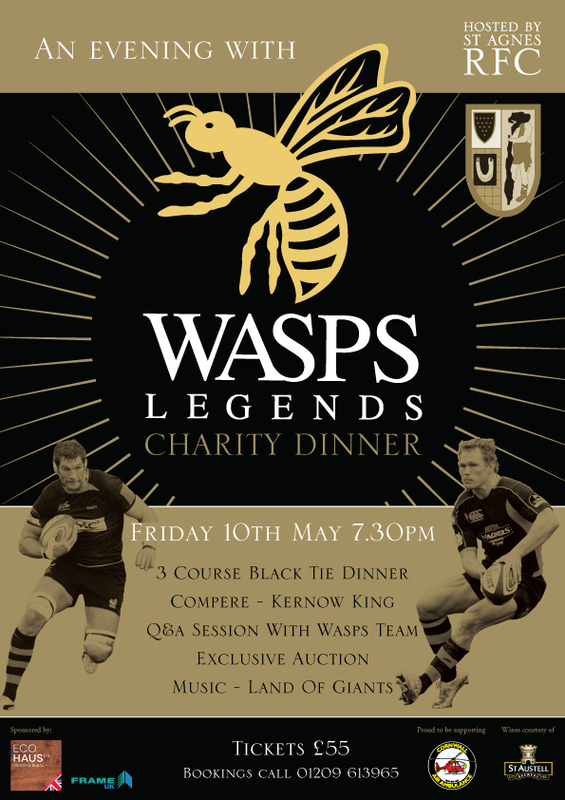 An evening of exceptional entertainment with Wasps Legends with a dinner format hosted in the event marquee. The black tie event will include a 3 course dinner, with wine of course, and an exclusive auction. The evening will be compered by Kernow King who will show these up-country boys and ladies how we hang down ‘ere. This superb event will be happening on Friday 10th from 7.30pm. You should be okay to take photos in most places. Except in the showers.